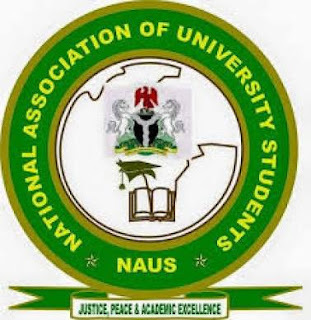 The National Association of University Students (NAUS) in a press statement through it National President Comr. Lawal A. Adebayo condemn Kwara state university Student Union (SU) election malpractice and demand justice. It is about time the leadership of this prestigious association would explode with the way oppressors are meddling into the affairs of our union. "An injustice in KWASU is an injustice everywhere and as a body that represents Nigerian University students, we are worried with the reports getting to our secretariat, of disqualification of one Abdulrahman Abdulbasit, a penultimate student of Medical Laboratory Science (MLS) by the University authority on an alleged comment by the candidate to partner local vigilantees in tackling insecurity in and around the University. It is worthy of note here that the Local Vigilantee is a duly registered organization in Nigeria and not a secret society. No Nigeria law or constitution give any constituted Nigeria Universities Staff or arm the right to determine who emerge in students Union election. The elections must pass through a fully credible process and devoid of bias, either from the management or any external force, it is strictly students business. it is on this premise that the National Association of University Students is ringing a bell of warning to every part of the management member who has taken it upon him or herself to tactically impose the emergence of a candidate as SU President of the University, to with immediate effect desist from such act or face the full wrath of the association. In the interest of justice, we demand that the University authority breaks silence and make public the acclaimed security reasons why the candidate in question was disqualified for public scrutiny and equally retrace their step by conducting a fresh election that would be free from bias and undue imposition and influence. We demand that the above requests be met on or before Monday, 30th April, 2018, otherwise, the NAUS secretariat will deploy it's nachineries against oppression as perpetrated in KWASU to equally oppress our oppressors. However, we would like to suggest to the Vice Chancellor to immediately set up a committee that would investigate the reasons behind the disqualification of Comr. AbdulRaman AbdulBasit, In order to bring peace and Tranquility to the University community. We hereby proclaim that Godfatherism would not be condone in any University's students union in Nigeria, at least not under our leadership and we shall fight it to the last drop of our blood. I appeal to all our KWASU brothers and sisters to be calm and assured that we shall not relent until Victory is certain. We equally extend our appeal to the National Association of Nigerian Students (NANS) at the national level to wade in to this issue as report reaching us indicts the Kwara state axis of the association in the whole process. Note: As we carefully utilized the 3Cs of our common struggle, if the authority choose to remain unjustly silent on this matter, we shall not hold back to use the last "C" of the Struggle to bring justice and equity to KWASU SU.